I read this article and wanted to share it with you: How to Raise Mission-minded Children https://blog.sonlight.com/raise-mission-minded-children.html. 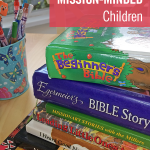 When my husband and I decided to homeschool, one of our main goals was to raise mission-minded children. When we moved to Canada after serving six years in the Middle East and in South America as missionaries, we were literally in "Christian" culture shock. Despite the new "Christian" environment, we knew it would take a lot more than Sunday school lessons and a good Christian curriculum to help us input the strong faith values we wanted in our children. Raising mission-minded kids in North America today can be extremely challenging. We live in a self-centered culture while the Gospel calls us to be selfless. Our kids have everything they could possibly need or want. I mean everything. They don't know the hardships that most kids in other countries face daily, nor can they understand the true value of following Christ. We want our kids to grow with the same zeal for the Gospel we have. We hope to impart our passion for sharing the message of hope this world desperately needs to hear. This might be shocking to you, but missionaries' kids are not always mission-minded kids. In fact, our biggest fear as missionaries was our children's walking away from their faith once they grew up. Some missionaries' kids rebel because of the losses they encountered or perceived—moving frequently, leaving friends behind, or thinking that ministry took their parents from them. Yes, we saw this tragedy happen. Missionaries' kids can rebel against all we hold so dear. We want our children to know God and strongly feel His calling in their lives. Only a strong faith foundation can give them that. "So faith comes by hearing, and hearing the Word of God." Romans 10:17. Mission-minded kids have a strong conviction of being the salt and light of this world (Matthew 5:13-16). They want to make a difference in their generation in any way they can, whether their parents are missionaries or not. Their hearts are focused on praying and giving, doing and serving. They are filled with compassion for others in their own neighborhood or thousands of miles away overseas. They are bold, they are fearless, and they are little warriors for Christ. Mission-minded kids have a sense of purpose and destiny to fulfill. They know God created them for such a time as this. 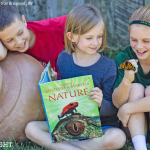 As homeschool parents, we have the privilege to hand pick our children’s curriculum. My husband and I wanted a curriculum that emphasized both God’s Word and missions so our children will grow with a strong faith foundation. We traveled a lot when our kids were little because they could fly for free. 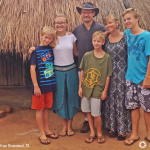 Once the third child came along, taking our kids on mission trips became very expensive. No longer could we afford to show our kids the reality of Africa, the Middle East or South America. All we could do was show them pictures or videos and tell them stories. Homeschooling provides the time we need to dig deeper into learning about a country, its culture, language, foods, landmarks and much more. Also it gives us the opportunity to teach our children to pray for whatever country we’re learning about. Stories are powerful! They open our children's eyes to the beauty and the needs of other nations. Every year our children learn about the character and faith of men and women who have changed the world in their generation. These men and women heard the call of God and obeyed: "Go into all the world and preach the gospel to all creation"(Mark 16:15). 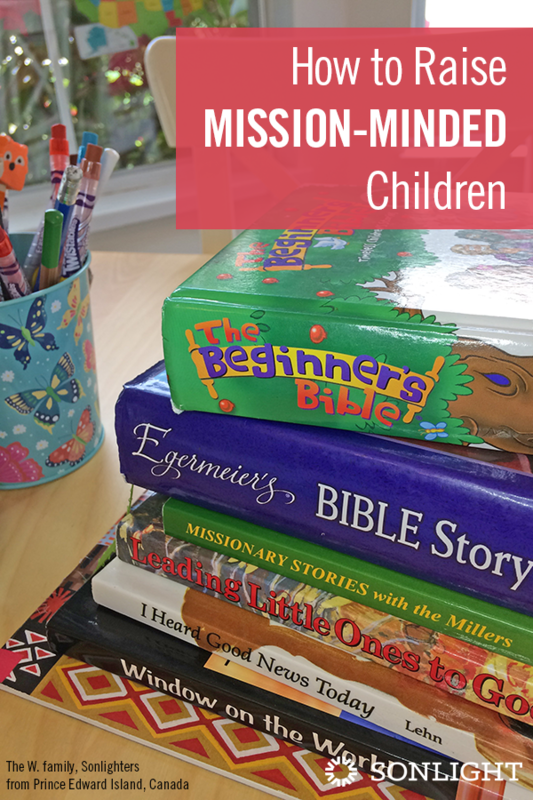 As we read missionary stories and biographies to our children, our faith also grew and so did the desire to take them on mission trips with us. With every story we read, sometimes with tears in our eyes and sometimes with shouts of "Hallelujah," my kids see the love and power of God through the faithfulness of His servants on earth. 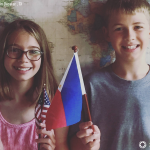 They learned about other cultures and traditions, about people who don't have the Bible in their own languages and how others have cared enough to leave everything behind to share the Good News with the most remote villages and tribes. Every book has inspired us to serve Jesus where we are and do whatever He calls us to do. Often, after reading a story, I saw my children climbing on the chair next to the wall map to mark a country that needs the Gospel. My oldest would promptly say, "When we grow up, we must go to this country." 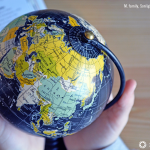 Prayer guides are great tools to learn more about countries, peoples, and their needs. A prayer guide will help you and your children move from knowledge into action. I cannot tell you how comforting it is as missionaries to know that people around the world are praying for us and for the country God has called us to. Prayer is a powerful way to partner in missions. These guides remind us that we still have a big mission ahead of us. Many peoples still don’t have the Bible translated into their languages, and many tribes are still unreached. Who knows if we are raising mission-minded kids today who will be Bible translators tomorrow or perhaps be the first ones to reach a tribe with the love of Jesus? As Christians, it is very important that our textbooks don’t contradict the Word of God, bringing confusion to our children. This is another reason my husband and I feel the need to homeschool. Our job is to teach them to see the world with God's eyes through God's Word. The Bible is first and foremost our primary source of teaching, and everything else must align with it. By teaching from a Biblical worldview, children will know that the reason they exist is to love and to serve God and others. They will learn science from a creation perspective and be able to see the wonders and power of God in every subject they study. God is the center and the driving force of our lives, and His infallible Word is our ultimate life guide. With this is mind, our children are growing with love and compassion for all of God's creation. From the wonders of nature to the understanding that every person matters because they all exist to bring God glory. I love that Sonlight students see the hand of God throughout history as well. He is in control of all things and will always be. After all, it is His Story. 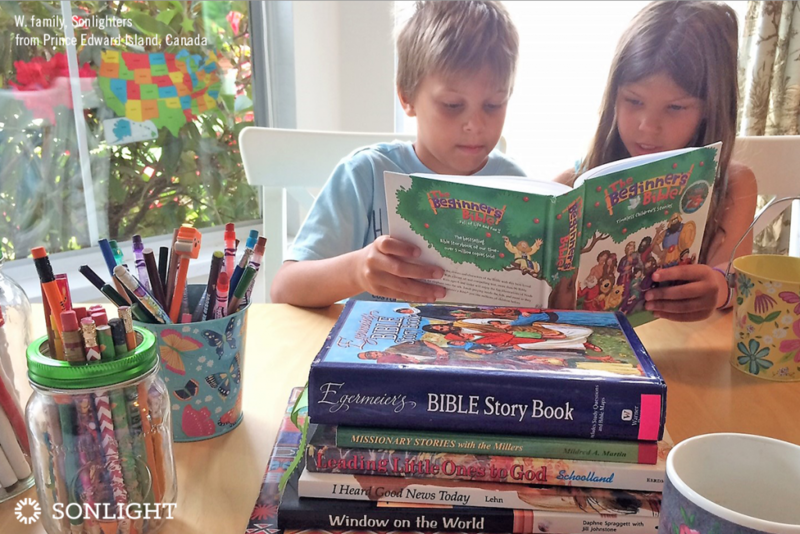 In order for our children to have an unwavering faith, we must diligently teach about other religions as well as the Bible. Teaching our children about other religions doesn’t detract from their faith, but gives them even more confidence in it. We don't expose them to other religions to confuse them but to clarify why we believe what we believe. As a pastor, I see Christians who fear witnessing because they lack knowledge of God's Word and confidence to defend their faith. Having an understanding of different religions will prepare our children to witness to others. I love how our Sonlight Instructor's Guides are set up with Bible and Scripture memorization at the beginning of our day. It helps us to shift the focus of our thoughts and prepare us for what God has for us. 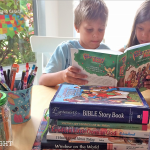 We have loved every Bible story book we have read to our children through our curriculum. But I have to say that the Egermeier's Bible Story Book has a special place in my heart because it was the first time we went through the whole Bible together as a family. That was a year we will never forget. My children's faith became their own! They couldn't get enough of God's Word, and they always came up with the most intriguing questions. We all grew in our faith together. Apart from the wonderful Bibles included in our curriculum, we have fallen in love with the Sing the Word CDs that help our kids memorize the Word of God. How precious was the day our children, ages 3, 5 and 7, sang the complete Psalm 1 to our pastor! We take these CDs everywhere we go. My mission-minded kids love the tunes, and I know that they are engraving God's Word in their hearts. 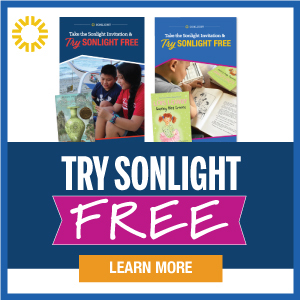 Sonlight is committed to giving to missions and partners with several ministries worldwide. 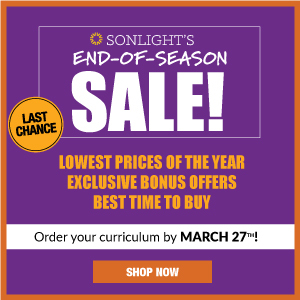 Missionaries overseas like us are able to afford a homeschool curriculum through Sonlight's missionary subsidy. This gives us, as missionaries, a 25% discount while still having the option for the payment plan. Without this bonus, we wouldn't be able to give our children the education we do and prepare them to continue our mission. Raising mission-minded kids in this generation might be challenging, but it is still possible. 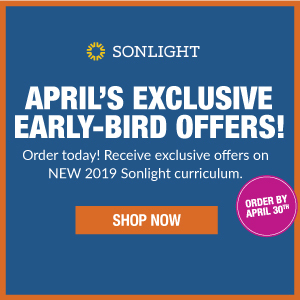 Because Sonlight is committed to the Gospel as part of its education philosophy, the curriculum empowers us to raise mission-minded kids. 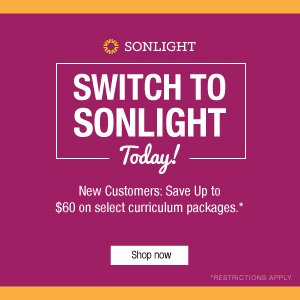 Go to SmoothCourse to explore your options for a mission-minded homeschool curriculum from Sonlight. Very nice , and inspiring.